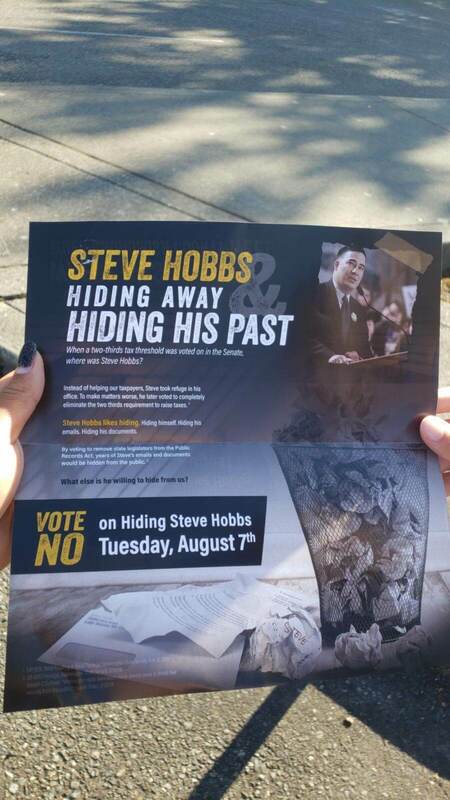 Conventional wisdom in Olympia says that Steve Hobbs is golden to retain his senate seat. 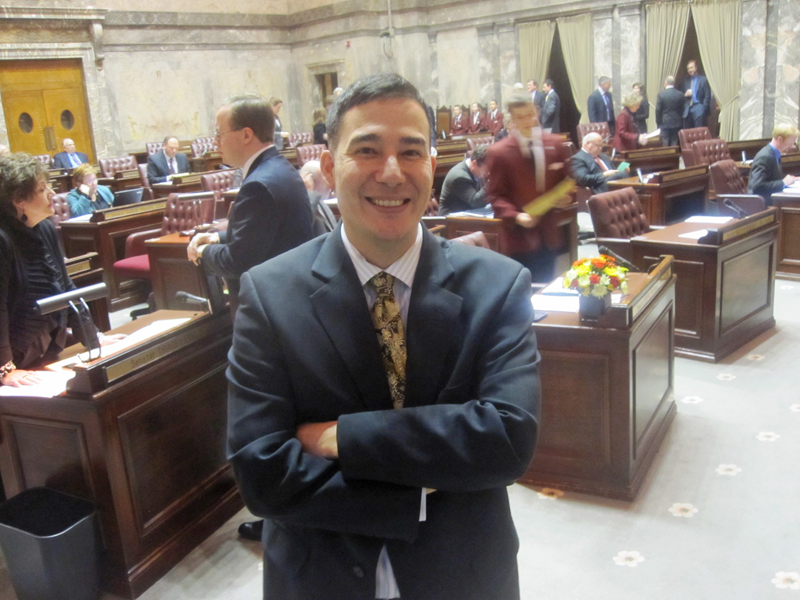 He is a Democrat representing the 44th LD in Snohomish County. But conventional wisdom may be damned. The Senate GOP Leadership PAC is pouring resources into a negative ad campaign against the sitting legislator. 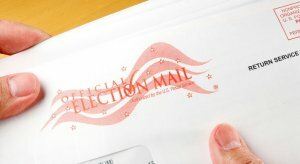 The PAC has already reserved $36k per week in TV advertisements through the August 7th primary. It has mailers and web ads out in circulation. All told, its looking like the buy could approach $200k, but the full scale is not yet known. 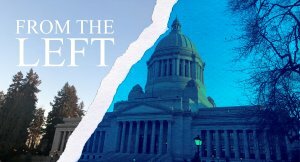 The ads themselves focus on the legislature’s attempt to pass a public records bill which drew swift condemnation from the press. It cites the Seattle Times calling the vote an “abomination.” Hobbs, who received the Seattle Times endorsement over his opponent, was not alone in casting this vote. There is great irony that one of the principal architects of the much derided maneuver, Senator Mark Schoesler, is seeking to reclaim the majority by blaspheming a vote he himself helped to engineer. Such is politics! The big dollar attack on Hobbs demonstrates the Senate GOP isn’t content to simply play defense in 2018. In fact, it has not given up on the prospect of reclaiming the majority this fall. The big spend is either a shrewd move or wishful thinking, rejecting the narrative the GOP needs to focus on stemming its losses. 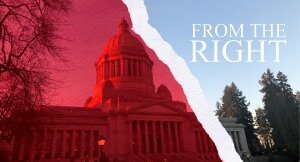 In a season when Washington State Republicans may be demur, the Senate GOP has a fraught but credible pathway back to power. Let’s be real, whatever he says, Rodney Tom is rejoining a Majority Caucus Coalition which will be only too happy to have him if he returns to the Senate. While the Democratic party may perceive him as villainous, he’s got a D next to his name and can blast Trump while corralling the Rs at the same time. For voters, this is a moderate Democrat versus a liberal Democrat in a purple-district. It’s in play folks. The pathway to a Republican/MCC majority in 2019 is clear: Get Tom, hold Fain, Miloscia, and Jan Angel’s seat, and take out Hobbs. That’s a tall order in a year expected to favor Democrats, but that won’t stop the Senate GOP from trying. Isaac Kastama is a government relations professional at Water Street Public Affairs.